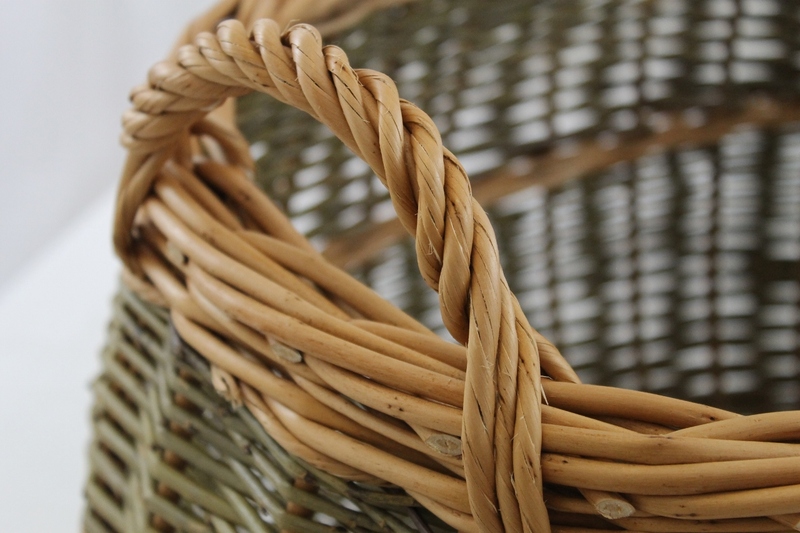 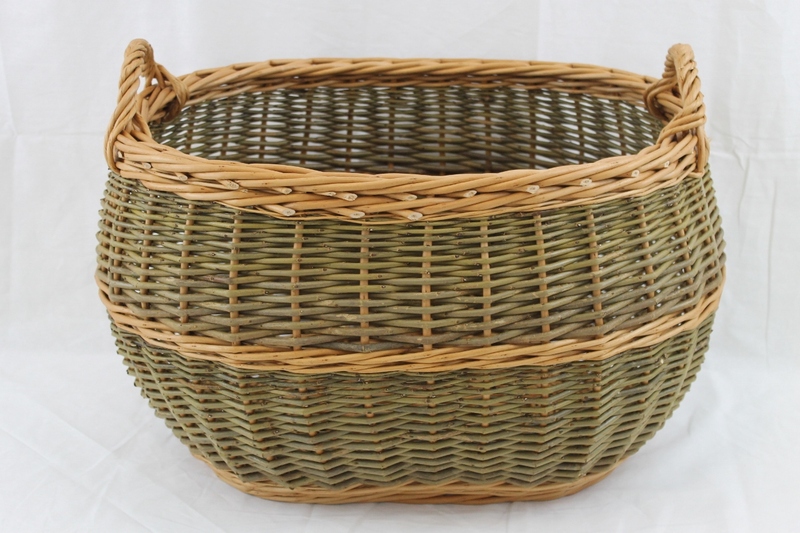 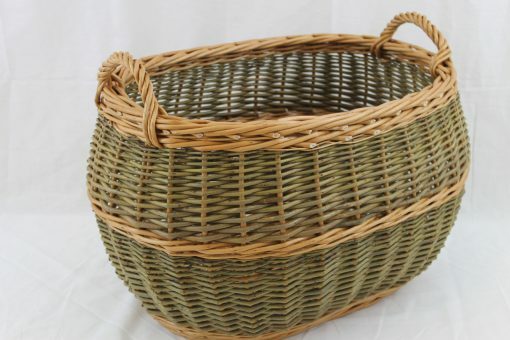 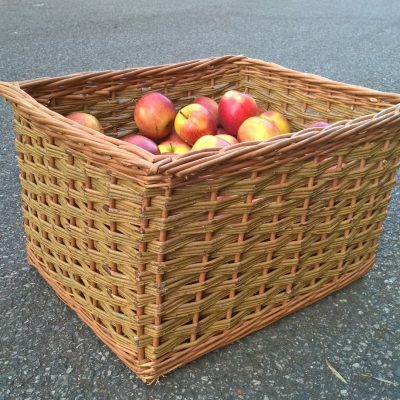 The Oval Log Basket is one of our best sellers! 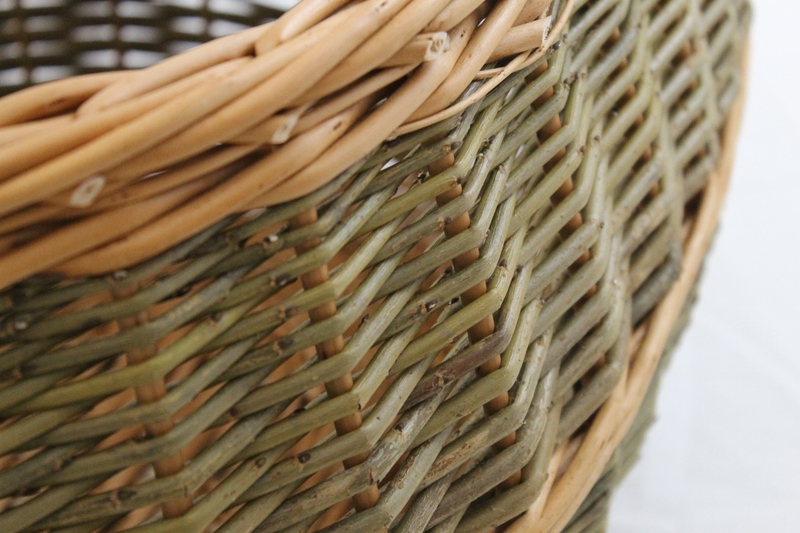 Shown here in the ever popular buff and green willow, but you can have it all buff or buff and steamed. 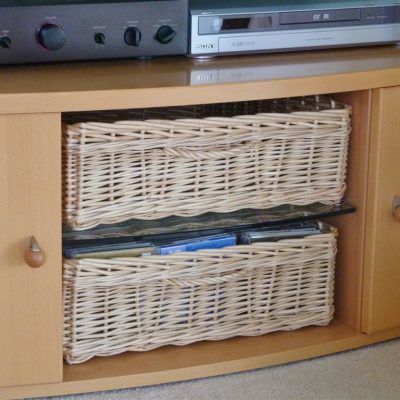 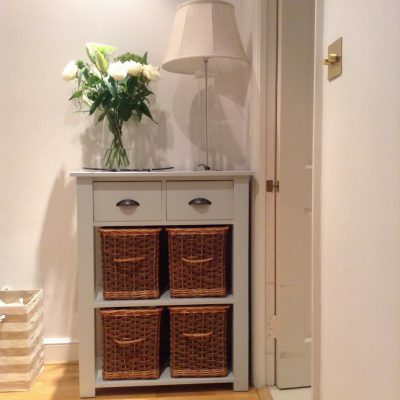 If you want to find out more about the colour options, head for the Willow Colours page. 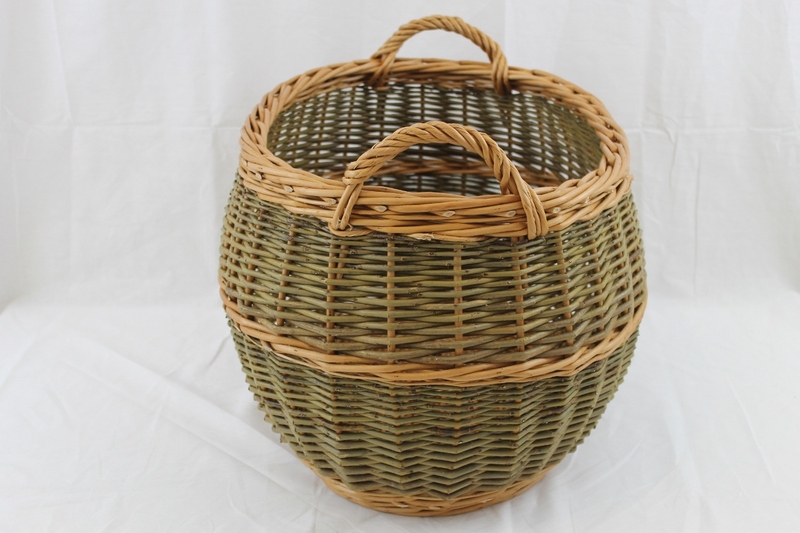 The size shown is 64cm x 48cm x 33cm h (25″ x 19″ x 13″ h) at £70 plus delivery of £10.50.